I love a new cookbook, and I often take notes when trying out a new recipe. 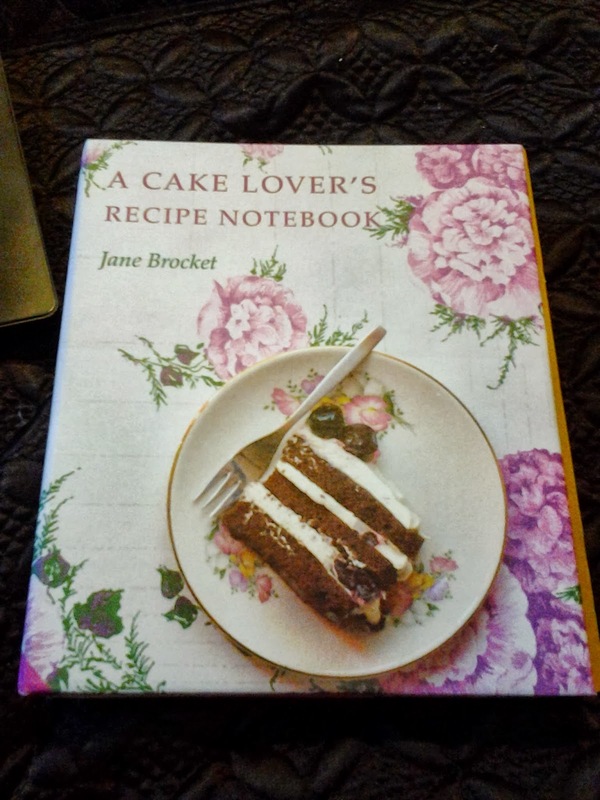 A Cake Lover's Recipe Notebook is both a cookbook and a notebook. British author Jane Brocket has collected classic cake recipes like Battenberg cake which is an almond cake covered in marzipan. There is also a recipe for fairy cakes which are the British version of cupcakes. In addition to the recipes, there's a section in the book listing baking essentials including ingredients, equipments and techniques. There are also blank pages when you can write notes about your baking and a box to check if you would make the cake again. The recipes are in both metric and US Standard measurements, so this is a great for our readers on both sides of the pond. Jane Brocket is also a craft/lifestyle blogger and her blog is Yarnstorm.